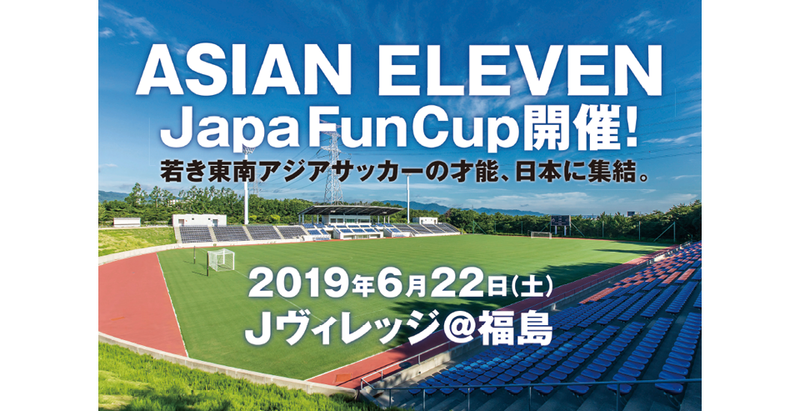 Japan Foundation Asia Center and the Japan Football Association (JFA) as the co-organizers, will hold the JapaFunCup, an international friendly football match between an U18 all-star Southeast Asian team and an U18 all-star Tohoku team. The U18 all-star Southeast Asian team, ASIAN ELEVEN, was put together through a project to send coaches to countries in Southeast Asia organized by the Japan Foundation Asia Center together with the Japan Football Association (JFA). The U18 all-star Southeast Asian team will play an U18 all-star Tohoku team at J-Village Stadium in Fukushima prefecture. ASIAN ELEVEN project provides support for reconstruction following the 2011 Tohoku Earthquake and Tsunami. Note: The theme song for ASIAN ELEVEN is "I BELIEVE" by the Japanese vocal group Little Glee Monster. Further details of the information are to be announced.